The new year is a time for change, a time to de-clutter our living spaces and remove unnecessary possessions from our lives. 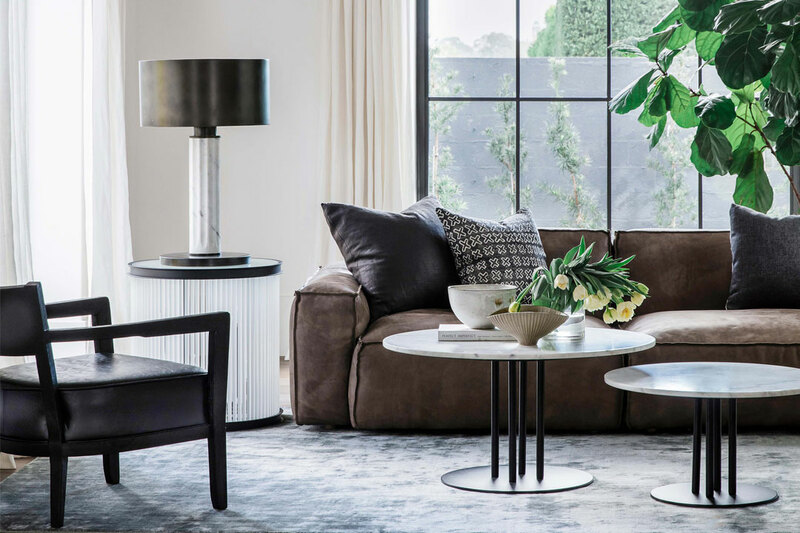 Jacinta Walsh speaks with Karen March of Gremmo Homes to explore how updating your interiors can be beneficial for the mind, body and soul – and your home too! With self-care becoming all the more important in our fast-paced, highly digitalised society, it’s no surprise that people are creating dedicated relaxation spaces within their homes. The new year often prompts introspection, and in 2019 our focus remains on promoting wellbeing. During this time it’s important to take stock of our possessions and consider the items that might be weighing us down. While we can’t always control what happens in life, we can control the space around us, and sometimes this is all we need to feel a sense of rejuvenation. So if it’s your New Year’s resolution to reinstate balance in your living areas, read ahead as Sydney Home Design + Living discovers how a fresh coat of paint, some new indoor plants, and layers of luscious textiles can inject life back into your home, while enhancing your preferred decorating style. bulky and outdated furniture with streamlined pieces that will allow the room to breathe. In doing so, you will create empty pockets of negative space. “Negative space can be very powerful,” Karen March says. “It can enhance large or bold pieces of furniture, and bring a [sense of] calm to an interior.” This is particularly beneficial for those who are easily overwhelmed by busy surroundings. making the space feel fresher and brighter,” March says. With a bit of love and care the following plants will bring life to the simplicity of their surrounds. 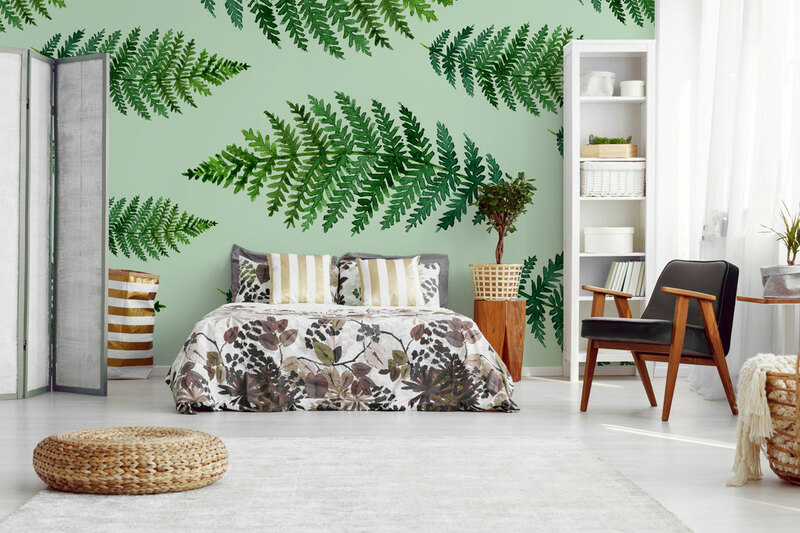 Monstera deliciosa: Considered the new fiddleleaf fig, this plant’s iconic split leaves are gaining popularity in the interior design scene as they are suited to a variety of furnishing styles. Monstera deliciosa or the ‘Swiss cheese plant’ is easy to look after, and can grow to an immense size when given the correct care. Keep it away from direct sunlight, which may scorch the leaves, and ensure that the soil is kept well-drained. Mid-century modern interior design will speak to those who are bold (and old) at heart. Referring to the design period between the 50s and 70s, modern design seeks to bridge the gap between man-made and organic design, while embracing the union of indoor and outdoor spaces. “A mid-century modern interior should be timeless, and must place an emphasis on function and natural light,” says March. To achieve this look in your own home, begin by assessing the furniture that you already possess. Does your current aesthetic have a vintage quality? If so, then modern styling might be a great way to refine your existing living area, while highlighting the pieces that you already own. Alternatively, there are plenty of furniture stores that stock modern décor – or you can try your local op shop for pre-loved options that won’t break the bank. Find the focal point of your room; perhaps it is a Bardot sofa, a statement light fitting or an accent wall. The rich, saturated colour of an accent wall will brighten the space, as well as set the base palette for the rest of the room. Popular modern colours include yellow, blue, orange and green, which will harmonise when used in conjunction with each other. For a new take on modern design, try a combination of light flooring and metallic accents set against a dark green feature wall. Dress with teak, walnut or rosewood furniture for a subtle nod to yesteryear. Aside from paint, wallpaper is also a great, cost-effective way to “inject warmth, texture, and colour into your interior”, March says. 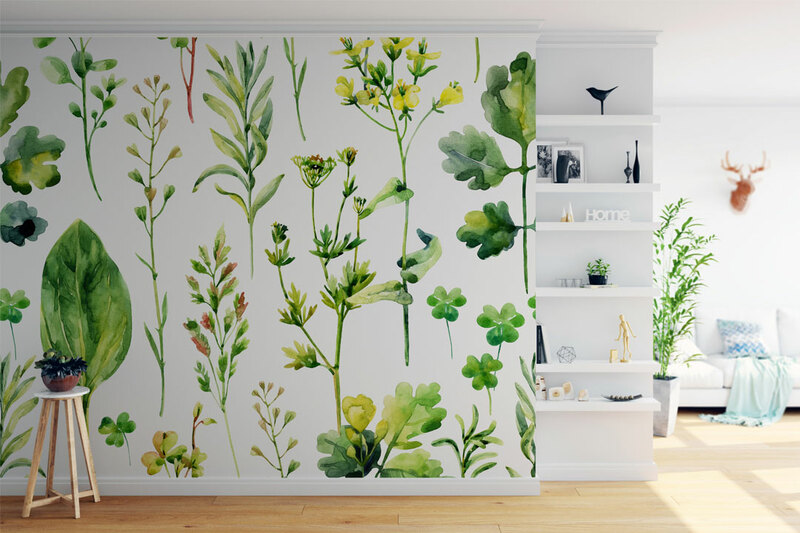 Pixers’ leaf-motif wallpapers are a great substitute for those who wish to include greenery in their living area, but lack a green thumb. 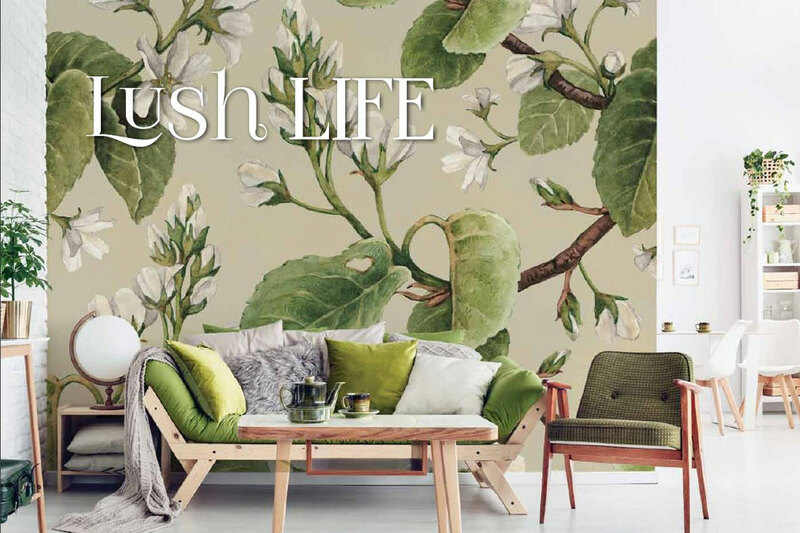 “There are endless options when it comes to wallpaper, from subtle seagrass papers to large graphics with metallic or foiled finishes,” March adds. Stylish plants are a must in any mid-century modern space. Assess the colour choices that you have made, and select your plants accordingly. 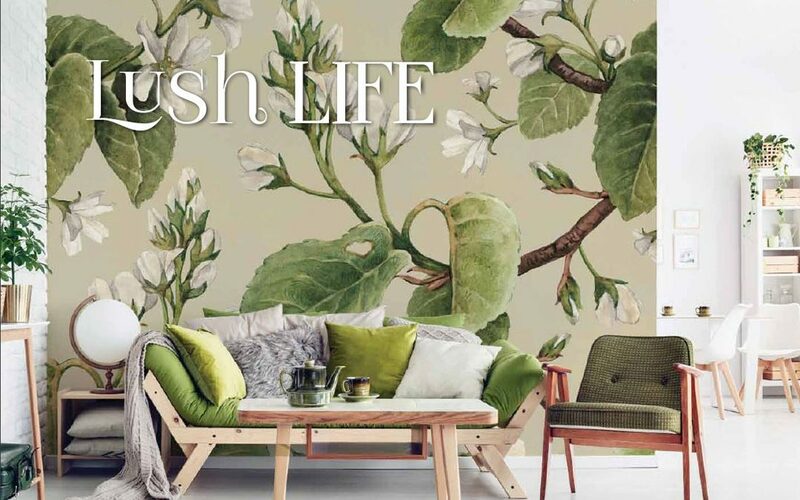 “As much of the design movement was based around a strong connection to nature, the addition of indoor plants [is always a good idea for] a mid-century modern interior,” March says. Darker varieties tend to suit the mid-century modern palette more than their brighter counterparts, which can look out of place next to vintage furnishings. If you’re the type of person who takes comfort in busy surfaces and can’t bear the thought of ridding your home of your lovingly collected possessions, then fear not! Decorating can be a curative experience; a chance to display and enjoy a collection of items that hold significance for you, as is the case with bohemian or ‘boho’ styling. inspired by] different eras, [and play with] various fabrics, patterns, books, art, mirrors, vintage pieces or travel keepsakes,” she says. Consider pairing white walls with white-washed timber floors to produce a textured base palette, before adding rich-coloured textiles and novelty items to your living area. not only encourage growth but also keep the space looking extra lush. It will provide a little sanctuary for you to enjoy at the end of the day, and on the weekend it will be the perfect place to just relax, read a book, and enjoy the sunshine. eclectic interior. Characterised by its stiff, upright leaves, mother-in-law’s tongue will add height to your collection of leafy ground-level friends. Feed it occasionally and it will grow throughout the year. Preferring a desert climate, this plant doesn’t need much water. However, it will adapt well to the lower levels of light in your living room. is root rot, which develops as a result of being exposed to damp conditions for an extended period of time.